Wilco Kelderman is set to lead Team Sunweb at the Volta a Catalunya. The Dutchman will attempt to build up from the shape he showed on the last day of Paris-Nice. 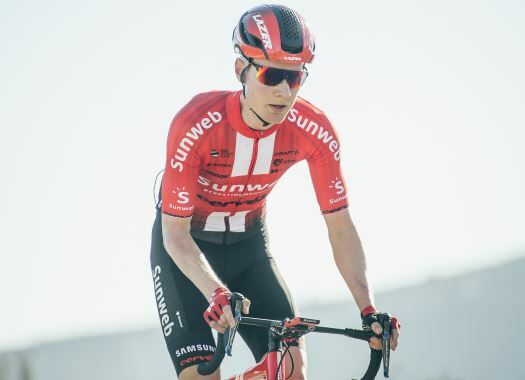 Kelderman is ready to face his third race of the season and after struggling with health issues, he will attempt to build a good form in the Spanish race. In the last stage of Paris-Nice, the rider finished in the third position and climbed to the 14th spot of the General Classification. "Catalunya offers a challenging course with the two mountain-top finishes of Valter 2000 and Molina shaping the GC," said Sunweb coach Aike Visbeek. "After a tough Paris-Nice we've had to make some adjustments to our line up but we still bring a strong squad in support of Wilco; with Jan, Louis and Rob helping in the mountains. "Wilco himself was a little sick heading into Paris-Nice but hopefully he can build on the form he had on the final day there. We'll also look for some opportunities in the sprints with Michael depending on his condition post injury, so we will need to be both attentive and offensive at the head of the race."